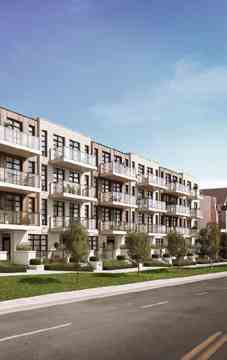 Nova Urban Towns Phase 2 is a new condo and townhouse development by Kaleido Corporation currently in preconstruction at 57 Finch Avenue West, Toronto. The development is scheduled for completion in 2020. 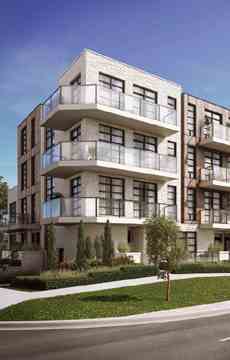 Nova Urban Towns Phase 2 has a total of 42 units. Students, families and professionals alike are drawn to this area for its easy access to highways and public transportation. Nova Urban Towns has a perfect Transit Score of 100/100 which means that this area is a rider’s paradise as there are many public transit options nearby.In 6 minutes, residents of Nova Urban Towns can walk to Finch Subway station and your choice of 10 bus routes will connect you to all the GTA has to offer. Highway 401 is located nearby for motorists getting in and out of the city. Nestled in the buzzing Yonge and Finch neighbourhood, Nova Urban Towns reflects the modern sophistication of living in this growing pocket of Toronto. Covering a block west of Yonge St. on Finch Ave., Nova Urban Towns will consist of 42 stacked townhomes close to the most desirable amenities anyone could ask for.